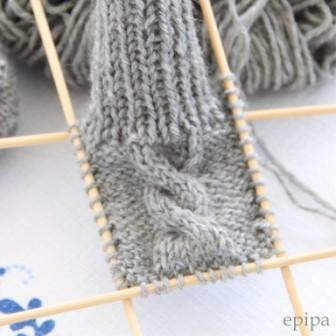 Double Knitting, комплект для новорожденного спицами: шапочка и кофточка. Вязаный комплект крючком для новорожденного, double knitting. 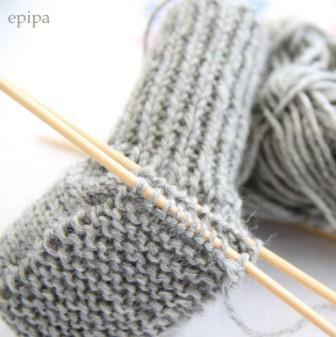 Cast on 32/40 stitches and divide evenly on 4 needles, knit in ribbing pattern for 3 inches. 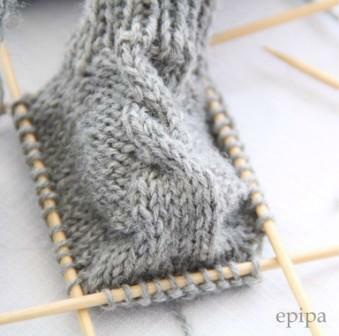 the instep is knitted back and forth on the 2& 3 needle only. In the 6th/8th row (RS) p5/7, c6b, p5/7 then continue in Pattern. 12/14 row repeat cable, knit until you have 18/20 rows. Then pick up 8/10 stitches on each the side to work in the round again. Distribute the stitches evenly as follows: side needles: 14/16 stitches each. Heel & toe side 10/14 needles for each needle. Knit in the round for 8 rows. 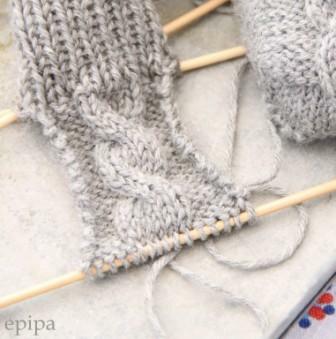 For the heel start on the right side on the toe part, knit back and forth until the last stitch, then knit this stitch together with the first stitch from the side needle. (K2tog front & side)Once all side stitches are knitted and the sole of the shoe is done, knit the remaining stitches of the sole and the heel together. For the left shoe knit the Cable as C6F. For each side, pick up 8 sts from the cable pattern (have read in notes from others this looks better if done from the top of the loop) and pull 3 sts from the toe and heel needles for a total of 14. For the sole - begin at the right edge of the toe. When the heel and toe needles meet, there should be 10 stitches on each needle. 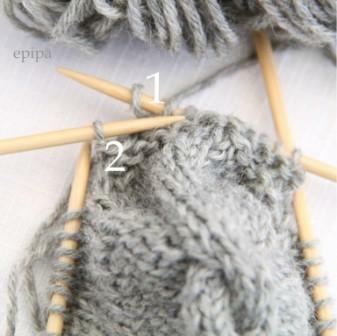 Use kitchener stitch to bind off. Sirdar Snuggly 3 ply and 4 ply shawl.